2019’s Best Diet Pills – Do Weight Loss Supplements Work? 2019 's Best Diet Pills – Do Weight Loss Supplements Work? Selecting a truly effective weight loss supplement can be hard, several brands on the internet use tricky advertising to fool you into thinking they’ll result in easy and powerful weight loss. However, this isn’t always the case. We made sure to carefully review brands; we’ve investigated over 3000 different weight loss supplements that come from all over the world. So you’ve finally made the big decision: you’re going to try and lose some weight. If that’s the case, you’ve already come further than lots of people who, like you, could probably stand to lose a few pounds – so congratulations! You’ve probably got a plan together: you’ve got your new gym membership paid for, you’ve got a new yoga studio, a new pair of running shoes, and you’ve got lots of vegetables on your grocery list. But what if you could get to your weight-loss goal even quicker? That’s the question that a lot of people ask themselves, and as a result, an entire industry has sprung up: the diet pill industry. These companies want you to believe that simply taking a daily pill can make you shed pounds like crazy, making your weight-loss regimen quicker and easier, and getting you to your goal sooner. We all want things to happen now, and the idea of training and exercising and dieting for months seems daunting, hence the lure of the “miracle” pills being marketed to people like us. Should you consider trying a diet pill? That’s what this guide is here to investigate. First of all, we need to look at the reasons people might have to wanting to use a diet pill. After all, weight loss comes down to the principle of calories-in, calories-out: if you burn more calories than you consume, you will lose weight. A better diet, rich in low-calorie, high-nutrient foods like whole grains, fresh vegetables, legumes, and lean meats gets you part of the way there. More exercise can get you further by increasing your caloric output, making it more likely that you’ll get the caloric deficit you need to lose weight. Well, there’s good new and bad news. The good news is that there are some diet pills that can genuinely work and help you in your journey. The bad news is that many diet pills are either worthless or outright harmful to your health. How would you like to lose weight without dieting or exercising at all? That’s what some diet pills promise – we’ll called them “blockers” for the purposes of this article – and it’s an idea that appeals to lots of people. After all, what could be easier than simply taking a pill? Despite the everyday advantages of diet and exercise (which are good even if you don’t want to lose weight), some people love this low-effort solution to their weight problems. 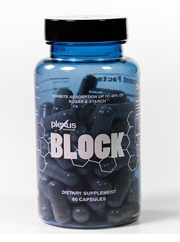 “Natural” blockers are usually classified as nutritional supplements, since they aren’t FDA-approved and contain no drugs. These products contain ingredients that are supposed to prevent your body from absorbing or digesting things in your food that contain calories. Some ingredients are supposed to block specific enzymes in your stomach that digest sugars and carbs, preventing those calories from being absorbed. Other blockers, like Alli and other drugs containing orlistat, are FDA-approved pills that deactivate lipase enzymes in the stomach – the ones that digest fat. Instead of breaking down calorie-rich fat and digesting it, those fats pass through your body through your stool. You avoid taking in those calories, and that’s supposed to lead to you losing more weight. While this may seem like the “easiest” of the diet pills, you need to be careful. For one, “natural” blockers often contain ingredients that are known to help control your blood sugar levels – but that doesn’t necessarily mean you’re not taking in calories from those sugars. And while drugs that prevent fat absorption do technically block some calories from being digested, unless a significant amount of your calories come from fat, you’re not going to be cutting out that many calories at all. Plus, there are serious side effects that can come with these types of pills. Some blockers can end up blocking your body’s absorption of good nutrients (like vitamins and minerals), meaning you could end up deficient unless you take supplements. Some of the drugs that promise to block calories can screw with your insides leading to gas, bloating, stomach pain, and oily stools. The big secret these companies don’t tell you is that you can get the same effect from these pills for free. What’s the secret? Eating slightly less. Yes, you can get the exact same results that these pills promise you simply by eating less. No side effects, no monthly costs, and no regimens or prescriptions to worry about. It’s also better for you, and creates more responsible eating habits. This is one of the most common types of diet pills on the market. Instead of claiming to prevent you from taking in extra calories, these pills promise to take away your cravings for food in the first place. For some people, a major obstacle to losing weight is the hunger that results from dieting. After all, when you’re used to overeating, limiting your food intake may seem unnatural, scary, or difficult. That’s why drug companies have developed drugs that can help prevent those hunger pangs in the first place, resulting in you wanting to eat less food. Less food, fewer calories, more weight lost. Natural appetite suppressants (such as Lipozene) typically contain fiber that swells in the stomach and makes you feel full. Some diet shakes do this as well. With your stomach busy with digesting the fiber in your belly, you’re supposed to feel less hungry and more full. Prescription drugs are another thing. Many of these pills, such as phentermine (used in the drug Adipex) are amphetamines, or structurally similar to amphetamines – stimulants that affect the brain and central nervous system. These pills often affect the receptors in your brain responsible for appetite. By automatically switching your brain from “hungry” to “full,” these pills trick your body into thinking you don’t want food. Since your brain thinks you’re full, it doesn’t secrete digestive juices or hormones that make you want to eat. No more hunger pangs, no more cravings. This type of pill has a lot of problems that should make you think twice. “Natural” diet pills often don’t work, since your body needs more than a couple milligrams of fiber to really feel full enough. Prescription drugs that affect your appetite have been shown in clinical tests to work, which is why they’re FDA-approved, but they come with serious drawbacks. One, you need a prescription, and two, they can be expensive (over $100 a month). Third, since they affect the nervous system, they come with nightmarish side effects that include dizziness, nausea, tremors, headaches, memory problems, and suicidal thoughts. That last one is no joke. Look up any appetite suppressing drug, and you’ll often find that they also cause depression and thoughts of suicide in people. You definitely don’t want to mess with that. We’ve established that losing weight comes down to calories-in, calories-out, and everyone’s body burns a certain amount of calories per day even when they’re not exercising. Some people have very high metabolisms – we all know that skinny person that manages to stay skinny while pigging out on pizza, ice cream, and take-out – but other people aren’t so lucky. So that’s why some diet pill makers came up with the idea of a pill that can increase the metabolism. These pills almost always come in the form of nutritional supplements, using natural ingredients that are supposed to improve the body’s metabolism naturally by increasing thermogenesis – heat production – in the body, making your body burn through more calories in general just to keep it going. While exercising more will increase your body’s metabolic rate, some studies show that certain ingredients can promote increased thermogenesis in the body. These ingredients include caffeine, a natural stimulant, and l-carnitine, a compound that’s involved in your body’s usage of fat stores. We haven’t come across any drug-based metabolism boosters, but that’s probably because chemically inducing a higher metabolism is extremely dangerous, as you’re dealing with a potentially major hormone imbalance as a result. On the other hand, while these products are almost always natural nutritional supplements, that doesn’t mean they’re always safe. Customers who use these products often complain of side effects like headaches, insomnia and jitteriness. Also, not all of them work. Many natural ingredients promoted for their “metabolism-improving” properties have little-to-no evidence backing them. Closely related to the metabolism booster is the burner. 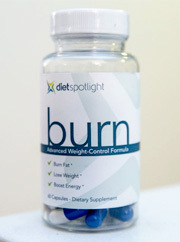 Unlike other pills that claim to prevent calories from coming in, or promote how many calories your body burns off naturally, this kind of pill claims to induce your body to burn more of its own fat stores. By burning existing fat, you’re supposed to see more of your body revealed (including the coveted “six-pack”), and achieve the lean, toned look that many people are going for. 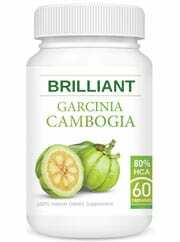 These pills typically are sold along with the advice that they need to be taken along with diet and exercise, so unlike fat/carb/sugar-blockers, they don’t claim to work alone. Like some of the above types of pills, this type of pill has both natural and drug-based variants. Natural fat-burning pills contain ingredients that are said to activate and support your body’s natural fat-burning mechanisms, the process called lipolysis (literally the breaking down of triglycerides into component parts). 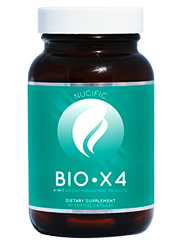 These ingredients include CLA (conjugated linoleic acid), glucomannan, and l-carnitine. Drug-based fat burners are very few, and the few that we’ve seen don’t have clear information about how they’re supposed to burn fat. Keep in mind that when the FDA approves a drug, no one has to explain or demonstrate exactly how it works, only that it is statistically more effective than a placebo and that it doesn’t come with significant health problems as a result of using it. As with all natural supplements, you need to be careful that you’re not getting hoodwinked. The truth is that there are very few (if any) ingredients that can “make” your body burn fat. For example, we’ve seen CLA being promoted in lots of different dietary fat-burning pills, with claims that it induces the body to burn existing fat stores. Unfortunately, the evidence from the scientific trials it’s undergone only shows that it can help increase fat loss, but by only a fraction of a pound per week. And that’s the best-case scenario: the majority of the studies say that it doesn’t affect you all that much. Glucomannan, another supposed natural fat burner (that’s also supposed to help suppress the appetite) has almost no evidence to suggest that it works, according to WebMD, and there are concerns (such as reported by Health Canada) that it can cause a blockage in the throat if not enough water is taken with it. Not all diet pills fit neatly into the above categories. 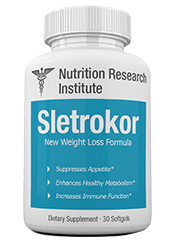 Some pills, like Sletrokor, use newly-researched natural extracts like garcinia cambogia, which is supposed to help prevent the formation of fat cells in the first place, in addition to helping to suppress the appetite. When used with a diet and exercise regimen, this type of pill can help maximize the results of your weight-loss regiment by preventing you from regaining weight you’ve already lost, and to help you stick to your diet. One type of pill related to appetite suppressants is the drug Contrave, a pharmaceutical which contains a combination of bupropion/naltrexone. These are drugs originally developed to help people overcome addiction by targeting the “reward” center of the brain, breaking the connection between it and the habit that’s been over-exciting it, leading to addiction. It doesn’t suppress the appetite, but it does affect the way the brain relates to food, and is supposed to prevent “cravings.” Like appetite suppressants, it comes with a dizzying array of side effects that include erratic mood swings, panic attacks, and suicidal thoughts. As you might have noticed in the last couple sections, the world of diet pills is an absolute minefield. Many pills don’t work as intended, and some that do work can have serious consequences for your health. Combine that with huge profit-seeking pharmaceutical corporations, fly-by-night supplement companies that have active lawsuits being filed against them for fraud, millions of dollars in advertising and promotions on TV and the internet targeting vulnerable people, and endless layers of websites full of contradictory information about scientific trials, clinical tests, and potentially bogus health promises, and it’s no wonder why people end up confused and frustrated. So how do you know where to start? Well, we’ve come up with some handy things to look for that will put you in the right direction. The first thing we suggest is to look for natural ingredients. Natural ingredients are going to work with your body, not against it. They often don’t have many (if any) side effects, and they’re going to be gentler on you. Unless your doctor or another medical professional advises you to take one of the drugs we listed, we don’t see a reason to consider them. The risks, as outlined in the sections above, are just too great, and you don’t even get that much of a result for the risks you’re running. 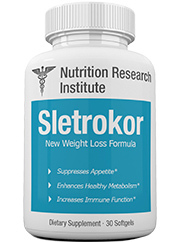 Safe supplements like Sletrokor contain natural ingredients that assist your body do what it does naturally. We also suggest pills that contain no unnecessary additives. If you want to stay at your physical best, you want to avoid extra things that aren’t going to necessarily help you. For example, bovine gelatin, cellulose gum, unnecessary sugars, or even laxatives are added to diet products, but they just don’t have anything to do with weight loss. Some pills contain large amount of stimulants, such as guarana, kola nut, and green coffee beans. While these products claim that these ingredients can help pump up your metabolism, the real truth is that they contain huge amounts of caffeine. While caffeine can help your energy levels, too much can have a negative effect on your health, causing tremors, jitters, trouble sleeping, or even hallucinations (when too much is taken). This ingredient is especially dangerous, so much so that we felt it deserved its own section. Touted by many as a great natural stimulant, something that can improve everything from your sexual prowess to your athletic endurance and energy, this ingredient has a dark side. Derived from the bark of the African yohimbe tree, it’s commonly included in diet pills as a way to help you lose weight faster by improving your metabolism and giving you the energy to exercise harder. It’s been associated with numerous health problems, from nausea and gastrointestinal disorders to vomiting, kidney failure, and heart failure. It’s so dangerous that several countries have banned it, including the UK, Canada, and Australia. Make sure you pay attention to what’s listed in the nutritional information of any supplement you buy. This is one thing that we stress above all, and that’s that you do your research. This one seems like a no-brainer, but it’s not always the first thing people do. Many products will advertise the benefits of their ingredients, without giving equal time and space to the possible health hazards. Some ingredients may seem familiar, popular, trendy, but many times health publications and wellness gurus will adopt any passing health fad and proclaim that it’s the Next Big Thing. What publications and journals say isn’t important: the truth is important. You need to do your own research about the ingredients and the science behind them before you decide to purchase anything. The truth is that you can’t afford not to. Your health is at stake. In many ways, diet drinks aren’t that much different from pills. They usually claim to do the same sorts of things – lower your appetite, give you energy, increase your metabolism – but the mechanisms are going to be different. They’ll never contain medicines that affect your brain chemistry, like Contrave or Adipex do. Shakes can contain some of the same ingredients as diet pills, including fiber, caffeine, and some even contain yohimbe – a big no-no. One main difference is that shakes are often used as meal replacements, allowing you to ingest fewer calories while staying fuller longer. They’re worked into your daily meal routine, while pills are meant to be taken in addition to meals. It all comes down to what you’re looking for. By now, you should have a good broad overview of the world of diet pills. It’s a deep, complicated, messy world, with lots of pitfalls, snazzy marketing, and unscrupulous companies. There are pills that can help, pills that can harm, and pills that do nothing at all. Above all, know this: there is no magic pill. There are only pills that can help. So despite all the warnings and side effects to keep an eye out for, it’s not all that bad. As long as you keep your health in mind and do your research, you’ll come out ahead. You don’t have to be one of those people who spends hundreds of dollars on pills only to find that they don’t work. Instead, you’ll be ready. Taking your health seriously is what led you to start your weight-loss journey, and being an informed customer is just the next step. It’s something that will help you to not only lose weight and stay healthy, but to be more prepared for whatever else life throws at you.